Marshalls is a great place to shop for handbags if you like current styles, designer labels and discount prices. 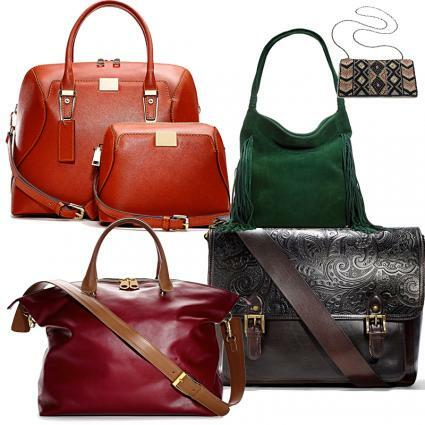 Their handbag inventory features sought-after styles from popular designers and labels at deeply discounted prices. The first thing that you need to understand about Marshalls' handbags is that you cannot purchase them online. Instead, you'll have to physically visit one (or more!) of the store's many locations if you want to see and purchase what this off-price retailer has available. The different designer names may vary somewhat from season to season, but you can expect to find some mainstays. For example, Juicy Couture and Coach are available regularly in Marshalls stores. In the rare event that the Marshalls you frequent doesn't carry these specific fashion lines, then you may want to visit another Marshalls location, as there's a good chance that another store will. In an interview on MLive.com, Laura McDowell, director of media relations for Marshalls, states that new merchandise is added to store shelves every day. So to have the best chances of finding great deals on handbags, it's a good idea to visit the store (or stores) in your local area often. If you are looking for a specific label or style, Femiology.com suggests calling ahead of time to find out if it is available at the store. This tip can be particularly helpful if you know that the company has the style but it is not available at your local store, but there are other stores within a reasonable driving distance for travel. You may even want to call stores in cities where you have friends or family members if you want the item badly enough to have them purchase and ship it to you. While you are likely to find a wide selection of styles when shopping for handbags at Marshalls, what you won't find is a large number of each specific item. As McDowell points out, only a few pieces of individual styles are stocked in each store. If you are just browsing and want to consider for a while before making a purchase decision, you will likely find that the item that you want is no longer available when you go back to the store. Because of this, you should be prepared to make a purchase when you find a handbag that you like. McDowell also suggests getting to know the manager of the stores you frequent if you really want to get an inside scoop on what the store is likely to have, and when. While managers may not know exactly what styles will be stocked, they will have access to details on when new products are expected to arrive and how long it will take them to end up on the sales floor. If you decide to hold off on purchasing in the hopes that a handbag you want gets marked down, it's a good idea to try to get a sense of when that might happen. The RatherBeShopping.com website indicates that Marshalls stores tend to do merchandise markdowns early in the morning, so a little while after opening time might be the best time of day to shop. If you have established a relationship with store staff members, ask them about how many weeks new merchandise in the handbag department tends to stay at full price before being marked down. You can also get a sense of this on your own by visiting the store one or two days per week to watch for new handbags coming in, making note of when certain styles arrive and when they show up on the clearance rack. Track several styles, as not all handbags will stay in stock long enough to be marked down. Marshalls Project Fab on Tumblr: Keep up with the latest pictures from fashion and lifestyle bloggers as they show off the great deals they found at the store. Marshalls on Facebook: "Like" the company's corporate Facebook page to receive pictures, links and other posts in your own Facebook news feed. Marshalls on Twitter: "Follow" the company on Twitter to receive shopping tips, product photos and other information directly to your Twitter stream. Marshalls on Pinterest: Follow the company on Pinterest to see curated boards featuring recent inventory additions. You can follow the store as a whole, or just their To Have & To Hold board, which contains only handbags. Marshalls on Instagram: Get more pictures of the company's merchandise by "Following" their Instagram account. If you want to get a sense of the general types of styles your local Marshalls store will get in, McDowell suggests simply following fashion magazines and websites. Since, as she points out, the store carries the most current trends, keeping up with them can give you a good sense of what you can expect to find. In a USA Today article, the company's CEO states that "85% of what they sell is from the same season and same year it was designed for." It may take some time and effort to find a great deal on your perfect handbag at Marshalls, but shopping for bargains is part of the fun. If you simply must have a specific style by a particular designer and you aren't willing to wait and watch for a great deal to show up here - or at sister store TJ Maxx - you might be better served going to a high-end department store. Of course, though, for that convenience you will pay a much heftier price when making your purchase.